The Breeders’ Cup is doing its part to encourage Latin American involvement in the U.S.
On May 22, 2016, I walked through the stone arch and wrought iron entrance gates of Club Hípico de Santiago racecourse (CHS) to claim my press and photography passes for a race called the Clásico Club Hípico de Santiago-Falabella. The 147-year-old grandstands of Club Hípico looked like a castle, crowned by swaying flags of Chile and the CHS logo. Run for the first time in 1903, the race’s history and prestige stands for itself. 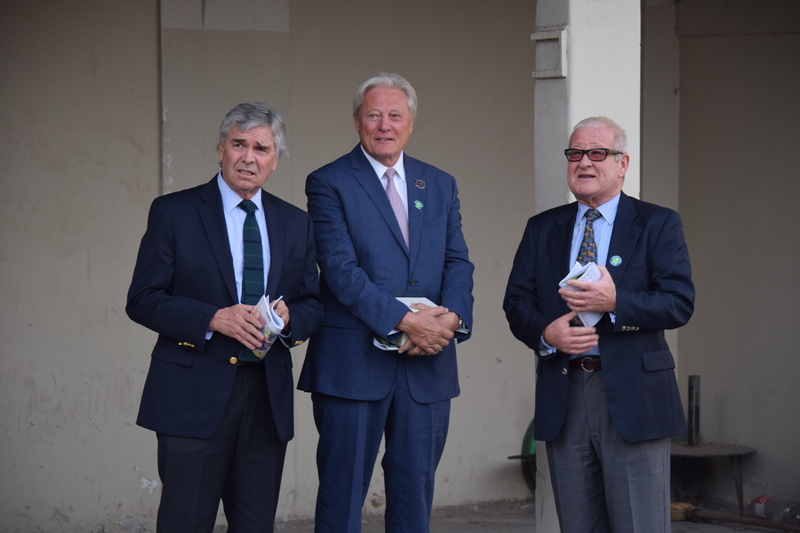 However, the 2016 edition would have added incentive, as it had been designated the Breeders’ Cup Challenge Race of Chile – a “Win and You’re In” for the 2016 Breeders’ Cup World Championships at Santa Anita Park in California. The Breeder’s Cup, founded in 1984 and operated by Breeders’ Cup Limited, is a two-day horse racing championship held in the United States each year. 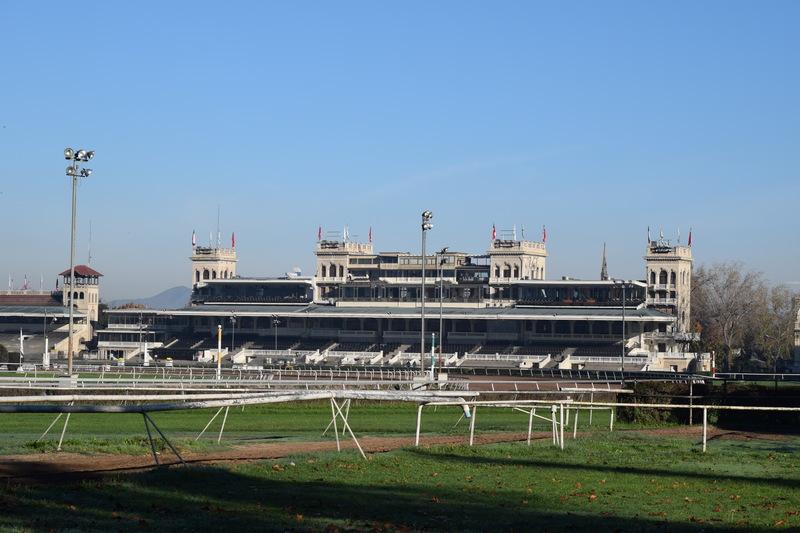 The event offers $28 million in purse money and attracts horses from around the world. The Breeders’ Cup includes a lucrative nomination program and the Challenge Series, also referred to as “Win and You’re In” races. 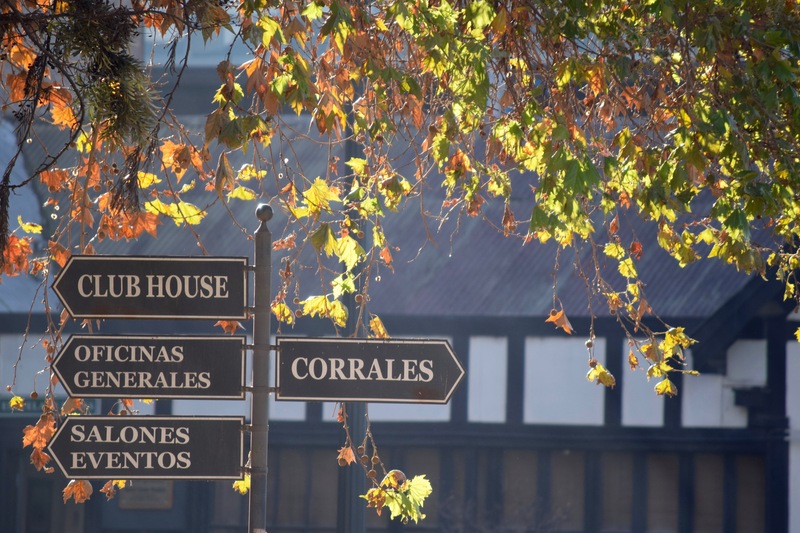 These races, held across the globe, allow the winning horse and their connections to travel to the Breeders’ Cup by paying their expenses and offering a berth into the race. The Breeders’ Cup website states “And while these two days have seen legends born, history made, and fortunes won, the greatest part is that the best is still yet to come” (“About”). John Fulton, the South American representative for the Breeders’ Cup, applies that mentality to the boosting of South American participation. Originally from Florida, Fulton lives in Argentina, and is deeply involved in international consultation, Thoroughbred brokerage and bloodstock management. John Fulton (center), with Andrés Vial, Director of CHS (left), and business partner Ian Jamieson. 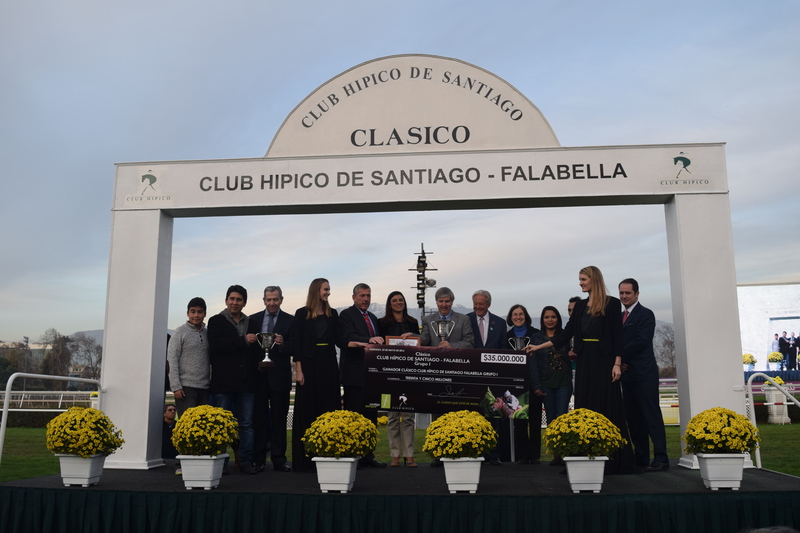 Representing the Breeders’ Cup at the Clásico Club Hípico de Santiago-Falabella, Fulton sat down for an interview, explaining that now more than ever, the South American racing population is recognizing the prestige of the Breeders’ Cup and wants to run. Although they realize it’s not an easy feat to accomplish, a history of South American horses who have performed well or even won at the championship event heighten the potential. According to the Breeders’ Cup Stats “Starters by Country” report, Argentina has had the most success throughout Breeders’ Cup history, with 24 starters and five winners. Out of the eight starters from Chile, two from Peru and one from Venezuela, there have been no winners. These statistics do not include how many of these horses ran second, third or fourth. In a stakes race, a percentage of the purse money is distributed to every horse in the race, meaning even those who do not win will accumulate earnings. A blurry picture of Kitcat winning the 2016 Breeders’ Cup “Win and You’re In” race of Chile. Check out the Chilean flag reflecting onto the finish mirror. The extension of “Win and You’re In Races” to South America in 2012, along with the growth of the nomination program, are what have led to that improvement. 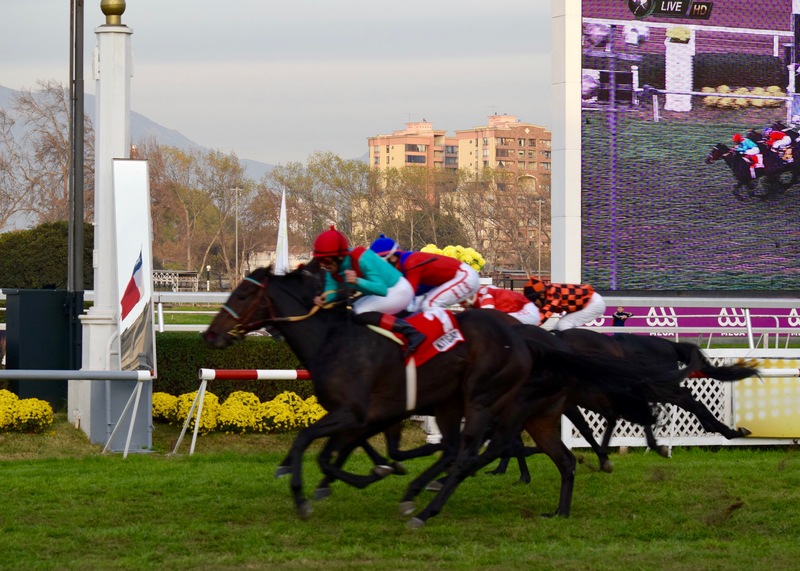 The first Breeders’ Cup Challenge Race was held at Hipódromo Argentina de Palermo in Buenos Aires. That race advanced Calidoscopio and his connections on to Santa Anita, where he captured the Breeders’ Cup Marathon in his U.S. debut. From there, the Breeder’s Cup gradually added on, with a Challenge Race in Brazil, an additional race in Argentina, Chile and Peru. “The program we’re trying to develop down here is to get the stallion nominations. And it’s a very generous program from the standpoint of the Breeders’ Cup, as far as the cost of nominating, because it’s much less than what it costs in the northern hemisphere. Down here we pay 25 percent of the stud fee, with a minimum of $1,000 dollars, so if you stand for $2,000 you still pay $1,000. He (a stallion) stands for $10,000 you pay $2,500. But, all the foals are nominated free. So you pay that one fee by the end of the year, December 31st, and all the resulting foals the following year are nominated automatically without an additional charge. Fulton referenced the added value that foal nomination can have on a horse long-term. Even if a horse travels to the United States, runs respectably in the Breeders’ Cup, and wins a handful of other stakes, their value increases considerably when they return to their home country for a breeding or stud career. 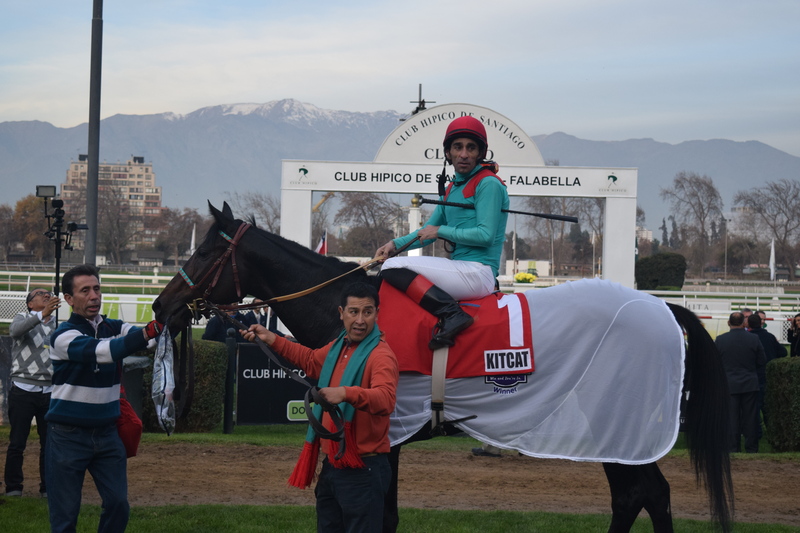 In 2017 there will be five Challenge Series races run in South America: The Gran Premio Criadores and Gran Premio 25 de Mayo in Argentina, the Gran Premio Club Hípico de Santiago-Falabella in Chile, the Grande Premio Brasil in Brazil, and the Gran Premio Pamplona in Peru (Breeders’ Cup Limited). Even Uruguay is interested in becoming involved, although their racing program requires further development before one of their races has attained the correct status to be Breeders’ Cup Challenge eligible. Fulton cites the biggest challenges in generating South American involvement are communication and spreading the word about the benefits of the program, and economic situations in countries such as Argentina and Brazil that have led to industry shrinkage.